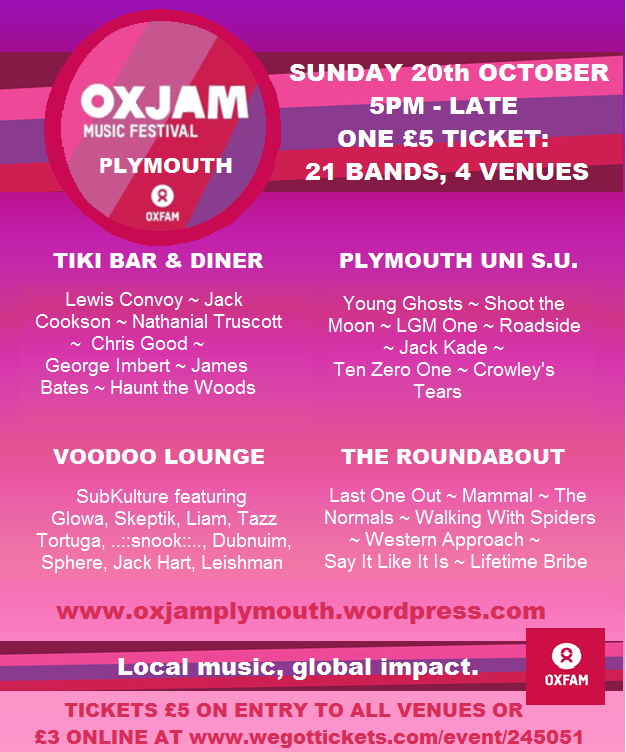 Oxjam Plymouth, is a music event with many local bands playing on one night. 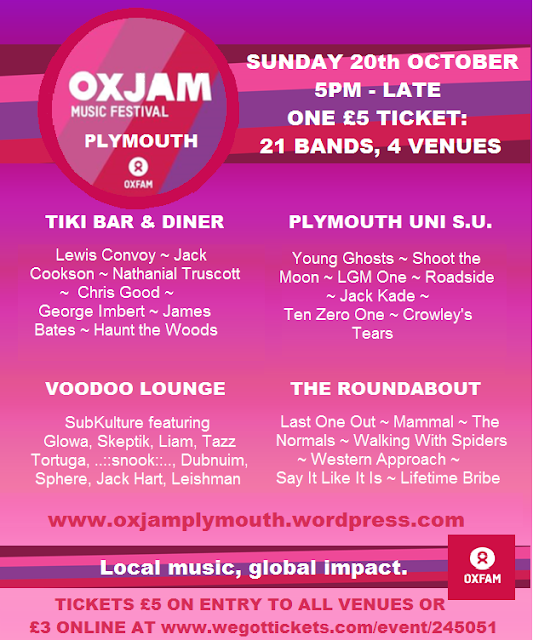 The aim of the event is to bring the Plymouth music scene together to help raise money for the charity Oxfam. The event will be held on Sunday 20th October 2013. The venues include Student Union Illusion Room, Level 2 above Roundabout, Voodoo Lounge and The Tiki Bar. The Plymouth event, part of a UK-wide festival happening the same weekend in October, will give Plymouth a chance to see some of the most talented bands in the area and help a worthy cause. We will provide you more information once received, remember to keep the date clear!